Its an amazing hostel, we came back after staying for a few nights last year, and we will be back again! When would you like to stay at YHA Hawkshead? 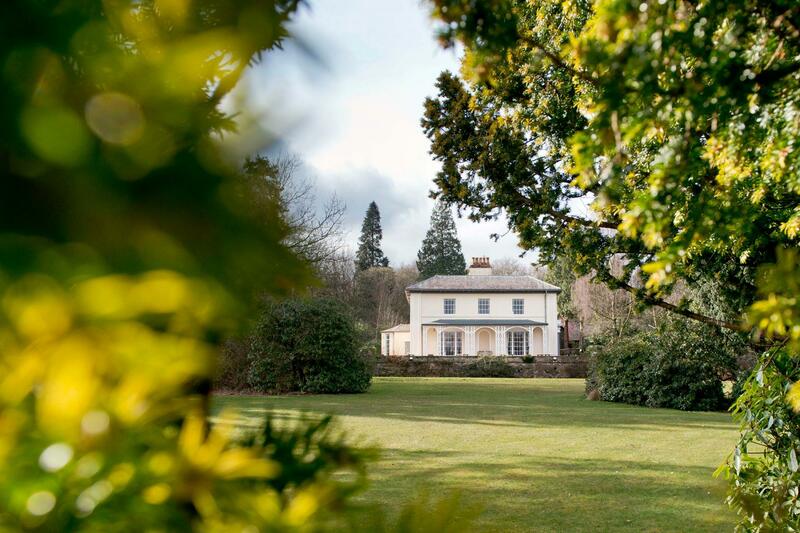 This family-friendly grade II listed building is an ideal base for cheap breaks, school trips and activity holidays in Beatrix Potter country. The hostel is great for walking and cycling, and nearby Grizedale Forest offers some of the country’s best routes if you're looking for a mountain biking holiday. YHA Hawkshead also offers our biggest choice of Camping and Cabins - with an atmospheric village of camping pods, cabins and tipis in our grounds. Expect tranquil views, fabulous beer and plenty of Regency charm. 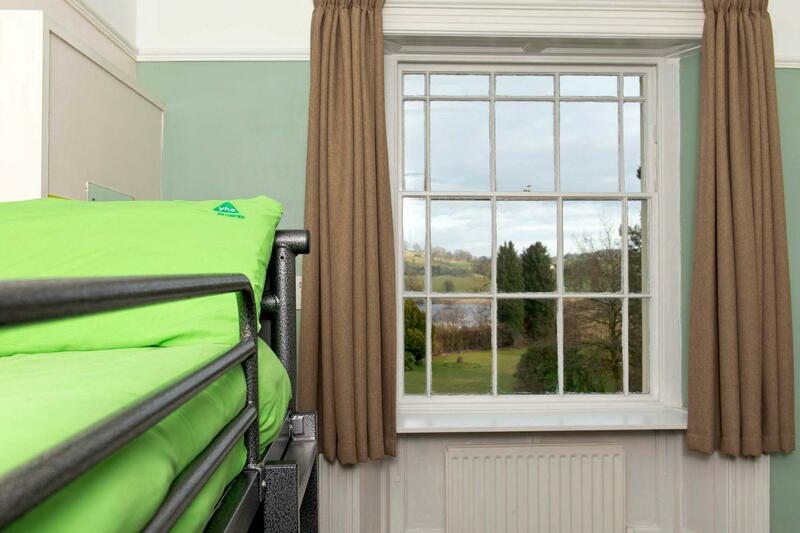 YHA Hawkshead is a grade II listed building that has 106 beds in a selection of dorm rooms and private rooms, some of which are en-suite. 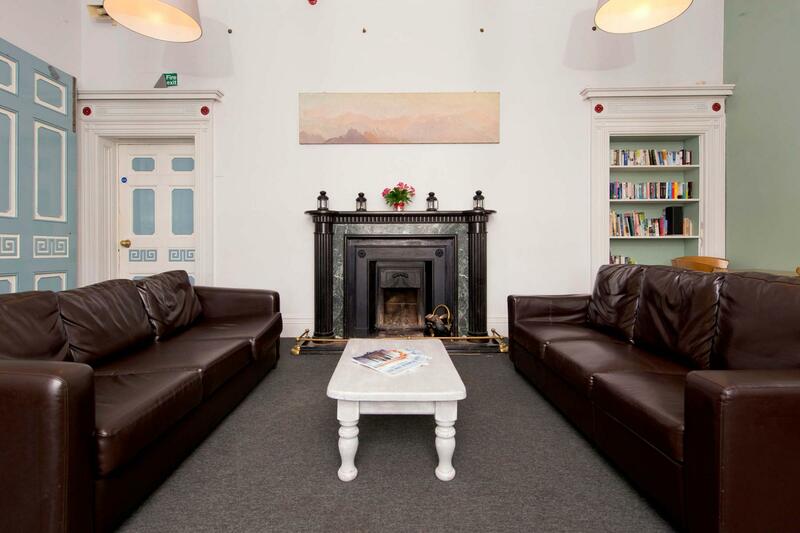 The Youth Hostel has many great facilities including a self-catering kitchen and social areas. There is a spacious lounge which is perfect for relaxing after a busy day, a dining room, and a games room. Our well-equipped self-catering kitchen has two cookers, eight hobs, a microwave, two fridges and a small freezer. There is a good amount of space available for guests to prepare some delicious meals and plenty of storage space. Crockery, cutlery, glassware, cookware and utensils are all available. Camping and camping pods are also available. Get all the fun of camping but without any of the set up stresses with these beautiful tipis - part of the YHA Glamping experience. These spacious tipis are fully kitted out with bedding and can sleep four people on mattresses - one double and two singles. They have a wooden floor which is partly carpeted and a lockable coffee table chest which you can store you belongings in and use as a table. There's also eco-friendly solar lighting and two comfy waterproof bean bags for you to chill out on during the day as well as a woodburner to keep you snug. 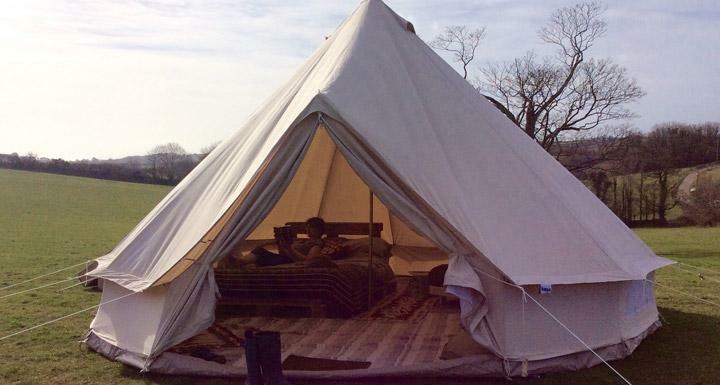 This cosy glamping option is perfect for those who love camping but not roughing it. 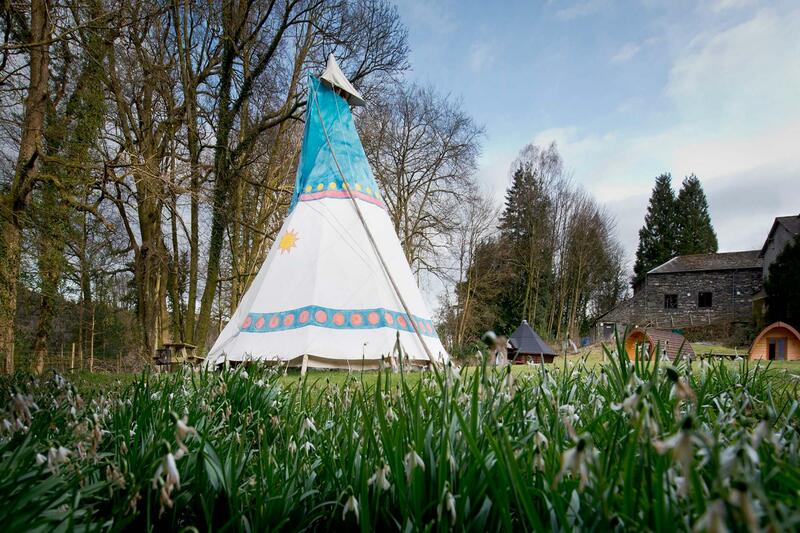 There are three tipis available at YHA Hawkshead and they are available to book for stays between Easter and the end of October. Tipi guests have use of an external toilet and shower block and self-catering kitchen. YHA Hawkshead has a fantastic Bell Tent village, situated on the front lawn, with their own shower/WC facilities. Fully kitted out with a double futon bed and three single futons plus all bedding, these tents can sleep four/five people. They also have eco-friendly solar lighting and comfy bean bags for you to chill out on during the day plus bedside tables, a coffee table, rugs and soft flooring. There are 10 tents available at YHA Hawkshead and bell tent guests will have full use of the hostel's facilities. YHA Hawkshead's bell tents are available to book throughout the year for stays between Easter and the end of September. 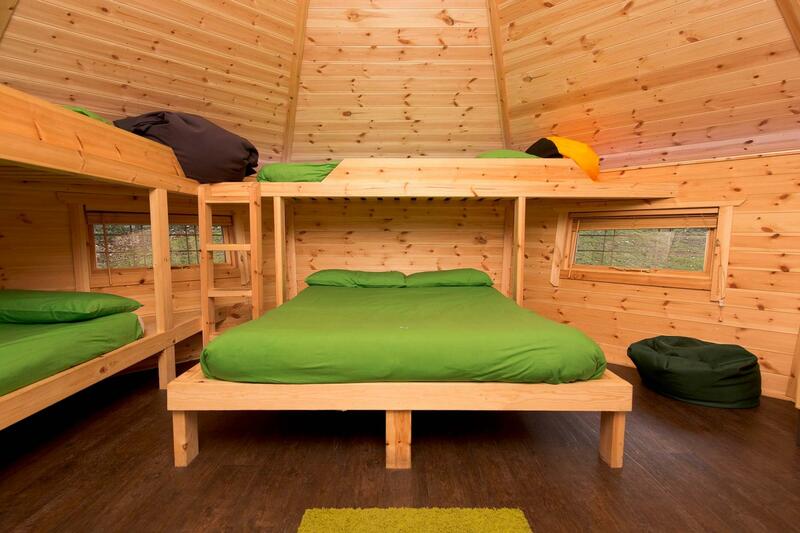 This hostel offers eight camping pods including the Standard Pod which sleeps two people (on two single beds) and the Large Pod which sleeps four (on one double and two single beds). Enjoy luxury camping without the luxury price tag. 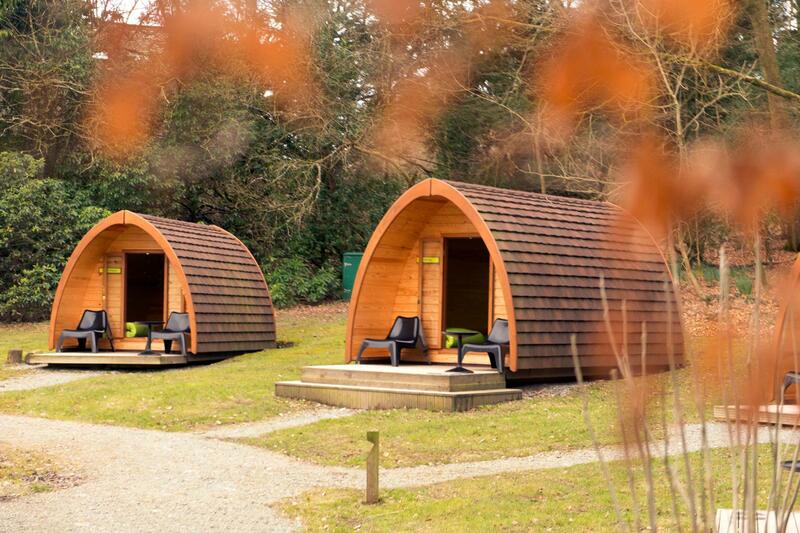 These wooden pods have heating and an outdoor seating area. Bring all your usual camping gear, apart from sleeping bags and mats, but sleep sheltered from the elements. The large cabin at YHA Hawkshead has four beds - one double with a single over the top and another set of two bunk beds - and sleeps four or five people comfortably. In the daytime, the fully furnished heated large cabins double up as living areas. All bedding is included so relax and sleep under the stars in this wooden cabin where you'll be well protected from the elements. Guests are welcome to use all of the hostel facilities including the bathroom and self-catering kitchen. When YHA Hawkshead has sole use bookings, the campsite and the pod village are still available, however there will be no access to the hostel facilities. There will still be access to the camping toilet and shower facilities, as well as the camping wash-up area. When booking camping or camping pods at YHA Hawkshead, please contact the hostel directly to check whether this is the case. The YHA Hawkshead campsite is situated in the Victorian kitchen garden, a picturesque spot that is perfect for organised groups, families or people travelling on their own. Surrounded by woodland with a stream running alongside the site, it's the perfect spot to pitch your tent. The camping site can accommodate up to 10 large tents and a couple of small tents. Campers have full access to indoor showers and toilets which are just 100 metres from the camping field. There is also full access to a self-catering kitchen a similar distance away. There are no BBQ facilities on site but guests are welcome to bring their own. Our car park has limited spaces. Over the winter we have put in place 17 new car parking spaces. Cars cannot be taken onto the main camping field. Please visit reception to find out which car park is nearest your accommodation. YHA Hawkshead benefits from a courtyard building which is also available for exclusive use. Visit our YHA Exclusive Hire website for more information and to book. A short walk from the hostel takes you to the highest point in the area, Latterbarrow, where there's a huge eight foot high trig point and stunning views of the whole of Lake Windermere. Set off down the bridleway from the back of the hostel to join Grizedale forest which offers hundreds of different routes for mountain bikers of all abilities. Only five miles from Windermere, you can try your hand at anything from a lake cruise through to wind surfing, kayaking and canoeing. If you feel the need for speed you can even hire a power boat. Towels and toiletries: Towels and toiletries are not provided but are available to hire and purchase from reception. Bedding is supplied. Parking: There is free parking on site and an overflow car park for use during busy times. Pets: Dogs can stay on our campsite and in our camping pods, cabins and tipis. There is a £5 charge per dog per night for our camping pod, cabin and tipi accommodation which is payable upon arrival. You can bring your dog for free if you are camping in your own tent. Pets are not permitted in the hostel accommodation at YHA Hawkshead however, assistance dogs are welcome throughout, please advise upon booking. YHA Hawkshead is situated in a tranquil location in the Lake District which is perfect for large family getaways and you can hire the whole hostel to yourself with YHA Exclusive Hire! YHA Hawkshead benefits from a courtyard building which is also available for exclusive use. Visit our YHA Exclusive Hire website for more information and to book. YHA Hawkshead is perfect for school trips wanting to take advantage of the great outdoors, or get involved with one of our biology or geography packages. This hostel offers group catering, a classroom and space for 106 people. Why not come and spend some time at YHA Hawkshead to find out more about our fabulous hostels and spend some time helping us maintain our high standards of hospitality. The tasks are energetic and varied and in return you will get to meet some great people who both work and stay in our hostels as well as enjoying your time off to get out and discover the beautiful Lake Distict landscape. Full details of all of our various volunteering programmes can be found on the Volunteering website. Manager recommends: Great for family activity breaks and some of the best cycling and mountain biking holidays that England has to offer. After an active day in the south Lakes, relax on the veranda, overlooking the expansive gardens and tranquil Esthwaite Water.